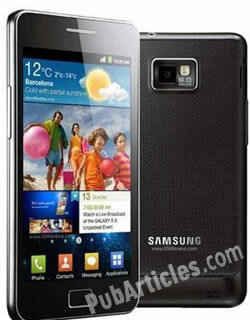 The Samsung Galaxy S2 was perhaps the most popular Android smartphone during 2011. At this point, a good portion of the world owns a Galaxy S2. One of the main complaints Android users had was the battery life; it simply didn’t last long enough. As an Android phone, the Galaxy S2 was not immune to this problem. However, now that it is the year 2013, new ways have been discovered on how to improve the battery life of the Galaxy S2. Here are 5 steps on how to do just that. The Android 2.3.6 based firmware is capable of sustaining a better battery life, especially when compared to the previous Android 2.3.3 and 2.3.4. Here, Samsung managed to fix the OS drain, leading to lesser battery drain whenever the phone is idle. Quite a number of bloatware is pre-loaded in the Galaxy S2. While some are useful, they generally run in the background all the time, which can drain the phone’s battery. The solution to this would be to freeze these apps. Not only will this improve your battery life, but it will do no damage to the phone’s stability, generally making this option a good idea. There are plenty of Kernels available for the Galaxy S2, but the best one to use is the Siyah Kernel. This kernel allows users to do a number of changes to their CPU, or GPU, like undervolt, change their speeds, and more. This allows the phone’s battery life to improve. The kernel also has a perfect balance between performance and battery life. Some users have noticed that devices with the CyanogenMod7 never get any decent battery life. As such, it would be prudent to not install CM7 for better battery life. Once you get 100% signal, quickly unplug the charger. Remove the battery and place the battery anywhere. Wait for exactly 3 minutes. While waiting, take some time to clean and dust off the internal compartment of your phone. Place the battery back in. Note that there are other ways of calibrating the battery; the abovementioned was just one of the ways available. And that was the 5 steps on how to improve the battery life of your Samsung Galaxy S2. Some users have managed to report that their Galaxy S2 was capable of lasting 16-20 hours on 3G. Hopefully, these 5 listed steps will be able to fix your device’s battery problems, as well.